Munyan Painting Services has been offering professional painting services throughout the southwest coast of Florida since 1951. Based out of Bradenton, Florida, we serve commercial and residential customers from Northern Manatee County all the way down to Ft. Myers and everything in between. 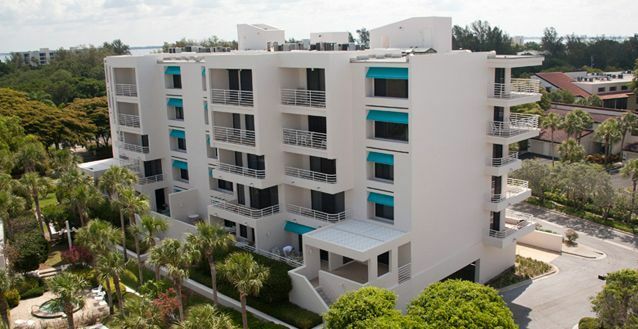 Our team has the knowledge and experience required to handle larger projects like high-rise condominiums, industrial buildings, and new construction that many area painters cannot or should not handle and, with the most advanced equipment available today, we can handle any painting, waterproofing or restoration project quickly and efficiently. We would like to commend your painters for the excellent work done in Sunset Beach again this year. The comments I received were all favorable which certainly makes my job as coordinator a little easier. I wanted to take this opportunity to express to you my thanks for the job that your team performed. Your employees were courteous, prompt in arriving on the job site, and attentive to their work. It is our pleasure to be able to share with you our gratitude and appreciation for excellence in performance by your company. The quality of workmanship is most noteworthy as well as your professionalism. They were punctual, professional, and did a wonderful job. I would highly recommend Munyan Painting. 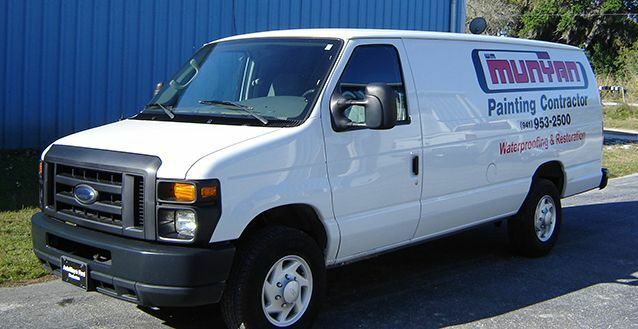 They have the team and the equipment to handle any size project – commercial or residential. Munyan Painting Services specializes in the application of high performance acrylic coatings and elastomeric "waterproofing" systems, as well as other high quality industrial coatings, but our services go far beyond just painting. Larger paint jobs frequently require some repair work or surface preparation before you can begin the actual painting in order to get the best possible results. Munyan Painting Services offers a wide array of services including pressure washing and roof cleaning, caulking removal and replacement, carpentry repairs, stucco repair and replacement, and concrete restoration. 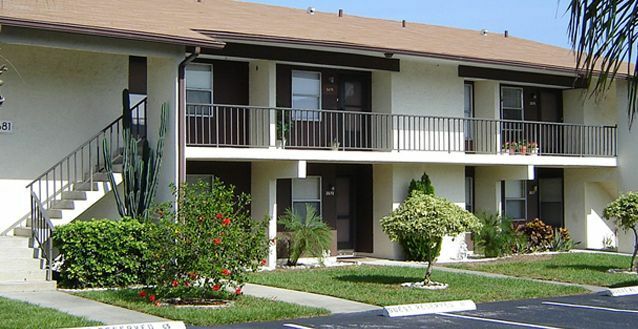 The Florida climate can take a toll on stucco and other exterior surfaces. Our expertly trained team can not only repair damaged stucco and other carpentry elements, but we use the right products and application techniques to prevent further damage and protect you investment. 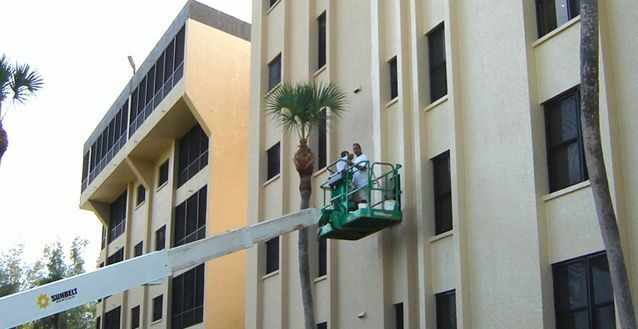 With over 55 years in the market, we know which coatings and techniques work best in the harsh Florida climate and we are continually testing new products, materials and equipment to ensure that we can offer and recommend the best possible solution for each situation. Over the years countless property management companies, interior designers, condominium owners, business owners, and homeowners have come to rely on us to ensure that their properties are protected and always look their best. You can rest assured that we have the knowledge, experience and background to handle all your building's needs. Munyan Painting Services is a drug free workplace and every member of our team is highly skilled, polite, and professional in appearance.